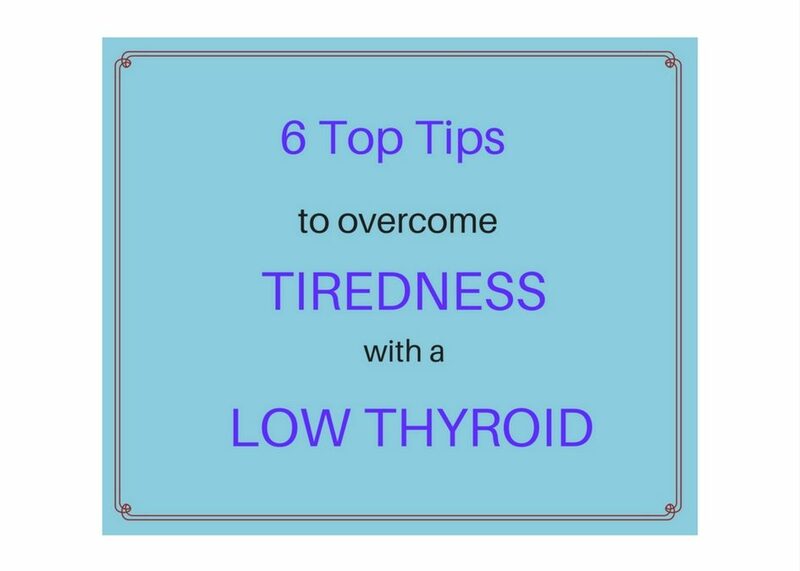 Low levels of ferritin, folate, vitamin B12 and vitamin D levels could be affecting your ability to utilise thyroid hormones and contributing to your tiredness. It is common to see deficiencies in people with low thyroid function. Ask your doctor for a blood test for these. If any deficiencies are identified, look into dietary changes to address these and if necessary consider supplements. homeopathic remedies can be very helpful, but are best selected to match your individual personality and the types of stress that affect you most. This is something we would look at in a homeopathic consultation if applicable to you. For more ideas, see my blog post on Handling Everyday Stresses well. If your blood sugar levels fluctuate excessively this too may impact on your thyroid function and leave you suffering dips in your energy levels. Eating lots of sugary foods or quick-releasing carbohydrates (white bread, cakes, biscuits etc) causes sugar levels in your blood to increase rapidly. The pancreas responds to this by releasing insulin to move the glucose out of your blood and levels then drop. You will experience a short lived burst of energy followed by a period of feeling very sluggish. If this happens frequently your cells may no longer respond so well to insulin. Over time you can develop insulin resistance or even diabetes. How can you address this? Adjust your eating habits to level out your blood sugar levels. Try to eat regularly, avoiding all added sugar and highly processed foods. If you crave sugary snacks, try a small handful of Brazil nuts instead. These are better for blood sugar balance and a source of magnesium and selenium, which are also important nutrients for thyroid function. A solid night’s sleep is very important to facilitate healing and boost daytime energy levels. I suggest to my patients with hypothyroidism that they should be aiming for 8-9 hours a night of quality sleep. Establish a regular time for going to bed and getting up and stick to it. If you suffer from insomnia and have difficulty getting to sleep or staying asleep, there are lots of self-help measures that may help – see my blog post on sleep. Homeopathic treatment can also help so be sure to talk to me if you are struggling with sleeping. Natural light affects our mood, hormones and sleep patterns. Try and get out in natural light for 20 minutes a day. If you have difficulty sleeping, getting outside early in the day can help and if you have low vitamin D aim to expose your face and arms to some gentle sunlight. Exercise can stimulate thyroid function and boost energy levels. However, if you are very depleted vigorous exercise may well be counter-productive or indeed seem quite impossible. Start very gently and build up gradually. A five minute walk a day may be quite enough of a goal initially or consider some yoga, tai chi or gentle swimming. Think about what you might enjoy so it can become a positive part of your weekly routine. To learn more about my work with people with thyroid problems, visit my main website Many of my homeopathy patients are delighted to discover that they have more energy in just a few weeks. It could be you too – so go ahead and book a free phone call so you can learn more and ask and questions.